Discover the New Zealand that Kiwis enjoy. New Zealand is a great country to explore in an RV or motorhome, with stunningly beautiful, sheltered bays, native forests, snow capped mountains, isolated farmland and rural communities, and some great fishing spots. Aside from all the usual 'tourist' attractions in the Bay of Islands, Taupo/Rotorua and Queenstown, there are many more special places for people in motorhomes and caravans to enjoy. To visit each location and share with you what we've found. We want to encourage others to explore and enjoy our beautiful country. Being able to see pictures and a short description of places to visit makes it much easier for you to plan a 'dream holiday'. 1551 New Zealand locations that we've visited, photographed, and written up, ready for you to use. If you register (it's free! ), our built-in 'Trip Planner' makes it easy to create your personal plans which you can print off to take with you, view on a mobile device, or share with your friends. We've tried to be objective when writing up each location, but we can only record our own impressions. Your experience might be different, and the facilities at each location may have changed since we were there. So we've also provided for registered users to share your own experiences. All of us together can make this the best New Zealand motor caravanners guide on the planet! We are enthusiastic members of the New Zealand Motor Caravanners Association. They provide many additional 'members only' locations where you can stay at very low cost. Just the discounts that members receive more than pays for their small annual membership fee. Visit the NZMCA website. 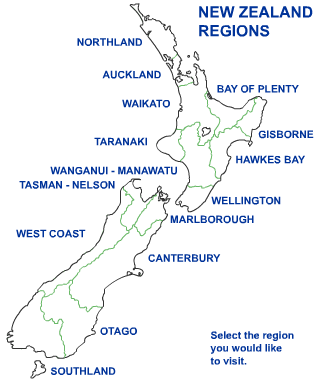 So, use this website to plan your own adventures while exploring New Zealand in an RV or motorhome. And don't forget to register and share with us your own experience of each location.